As 2018 comes to a close we’ve been reflecting on the year that’s passed. We always think “What a year! How can this be topped? !” as Christmas approaches. 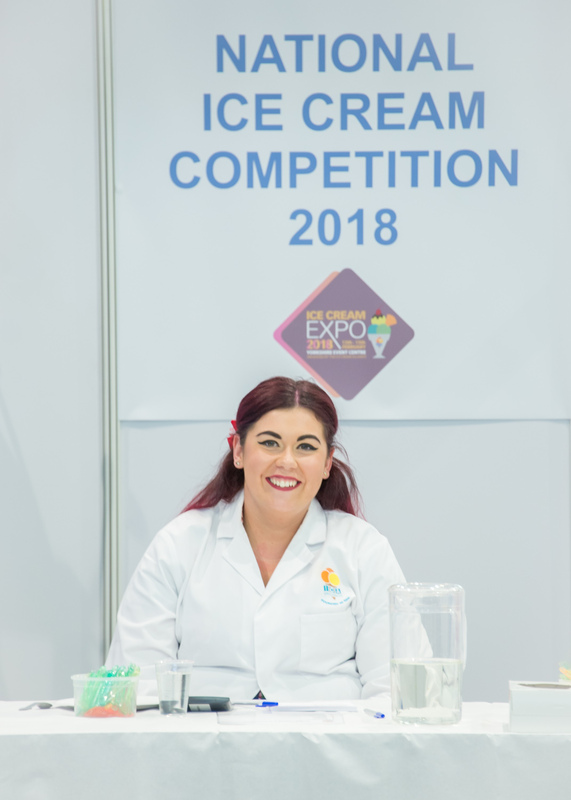 But every year we are treated to serving ice creams to wonderful people at exciting events and inevitably, there are a few exciting surprises in store. 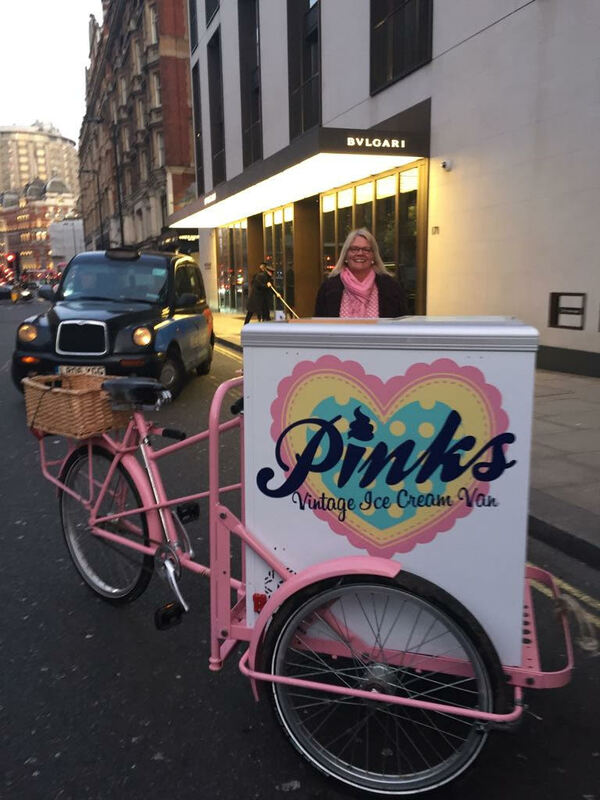 Mrs Whippy had the absolute pleasure of taking Rosey along to Petra Eccleston’s daughter’s birthday party in Knightsbridge, London to serve guests the best scoops of sweet iced delight! 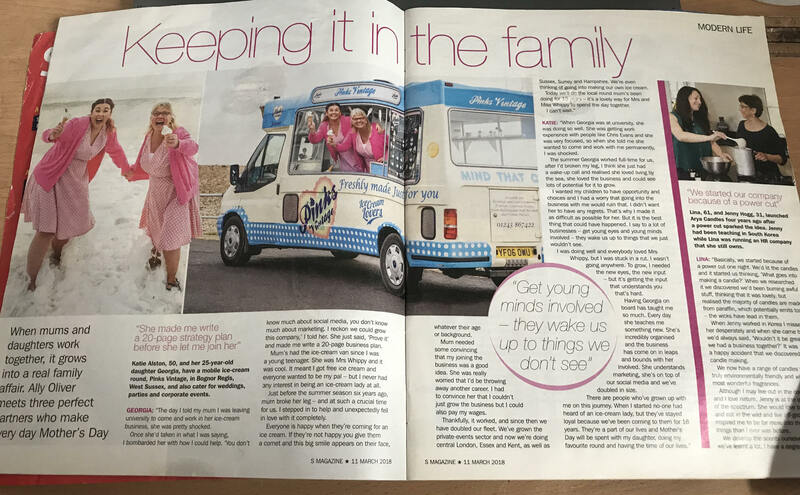 It was a real pleasure to be interviewed by the Sunday Express Magazine for their Mother’s Day feature about Mums and Daughters running businesses together. 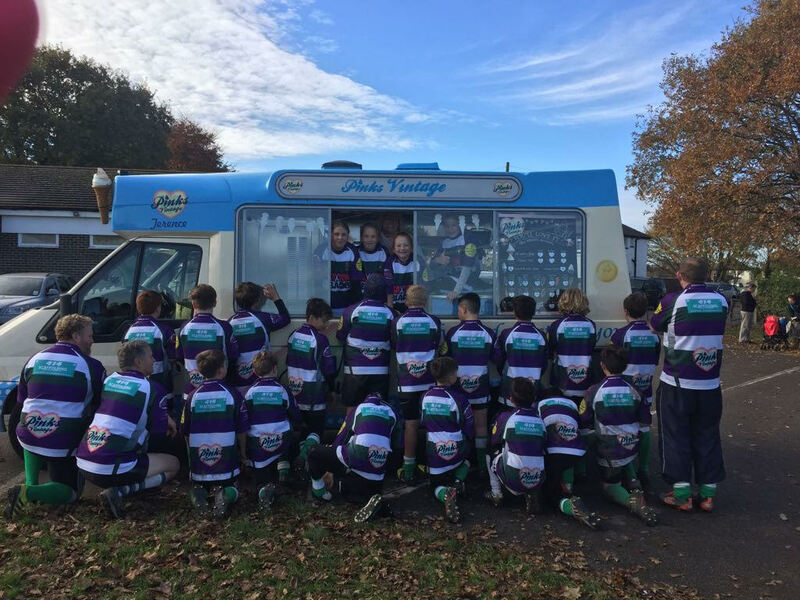 In April, Pinks Vintage Ice Cream started sponsoring the Bognor Rugby Club Under 11’s team! We are so proud of the team and get a kick out of seeing the Pinks logo on their shirts. 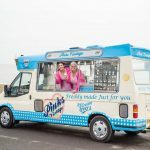 As spring hurtled towards the hot summer, we launched Pinks on the Prom, our pop-up ice cream parlour in our sunny hometown of Bognor Regis! 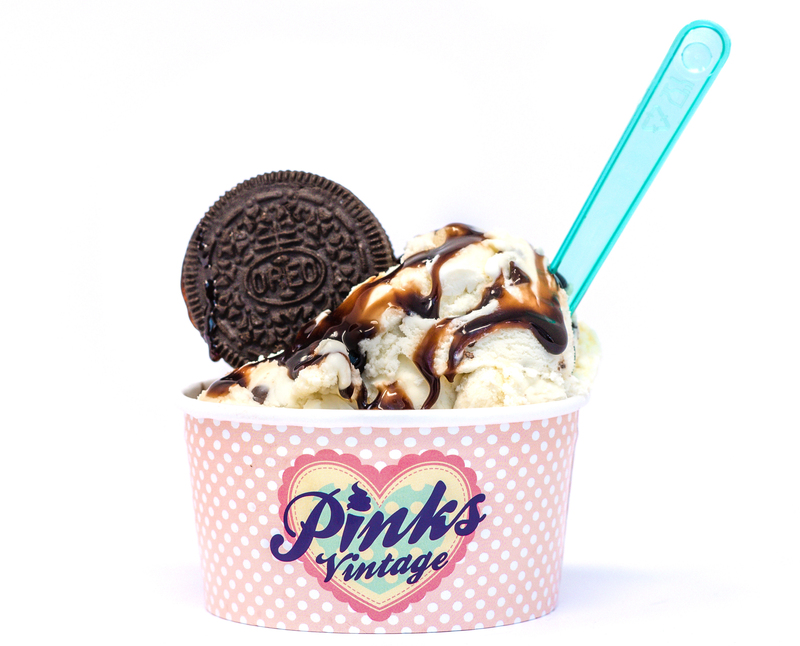 We served our usual ice creams alongside a brand new range of ice cream sundaes, scoop ice cream and speciality cones! 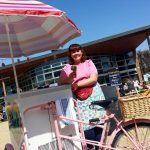 Cassy and our first vintage ice cream van Patsy served ice creams to the bridge and groom and all their guests on a gloriously sunny day at the Yoghurt Rooms. 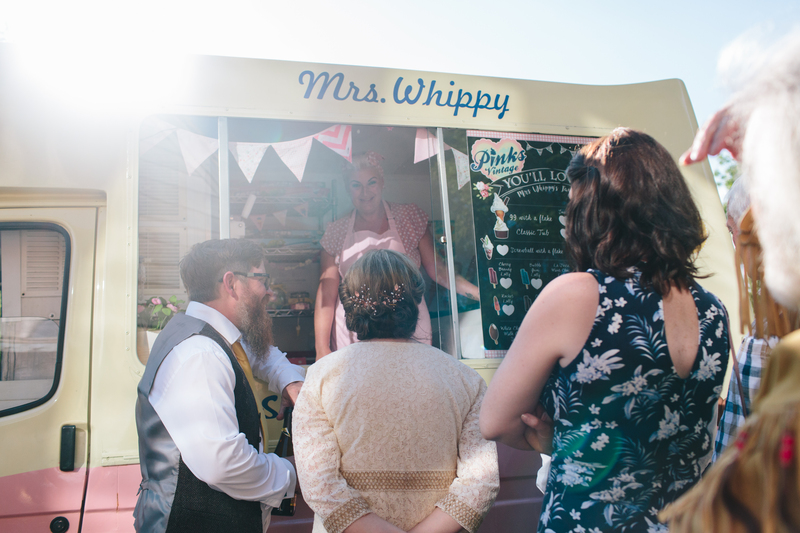 Julie & Stuart’s wedding was beautiful and we were delighted to be a part of it! 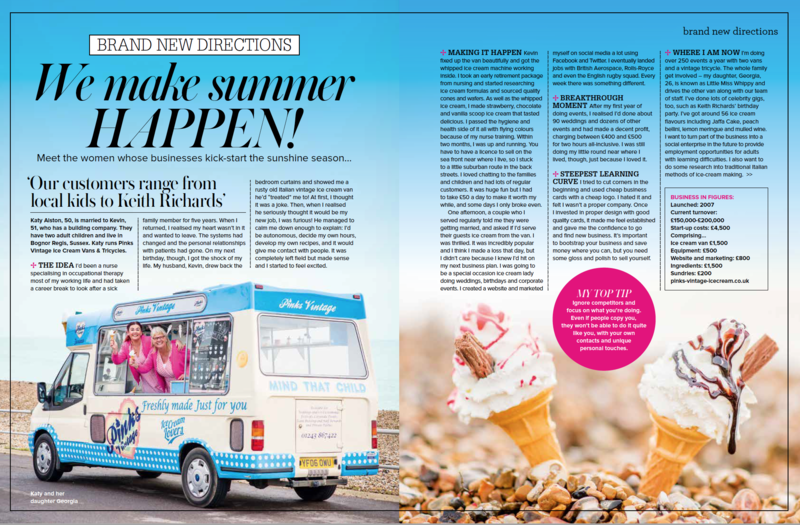 We kicked off the sunshine season with exciting features in Women & Home magazine, Coast Magazine and Yours magazine. 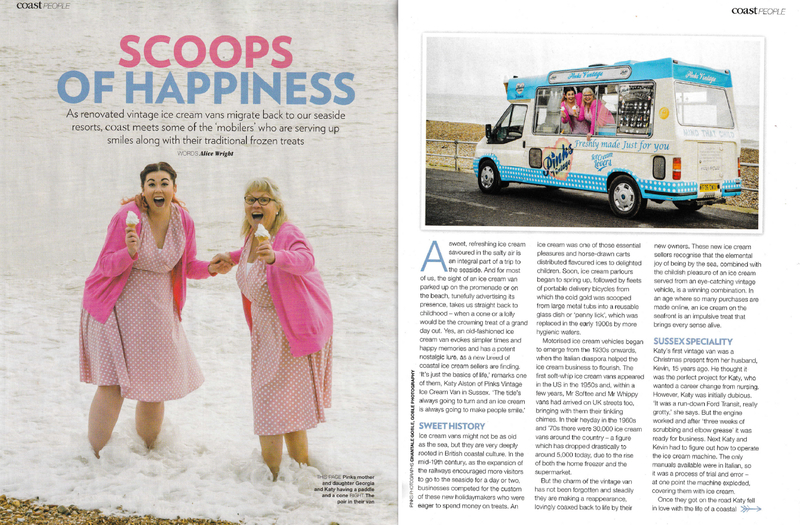 It really helps a small business like ours to be featured in local and national press and we’re always happy to oblige with some fun photos in the sun with our vans! 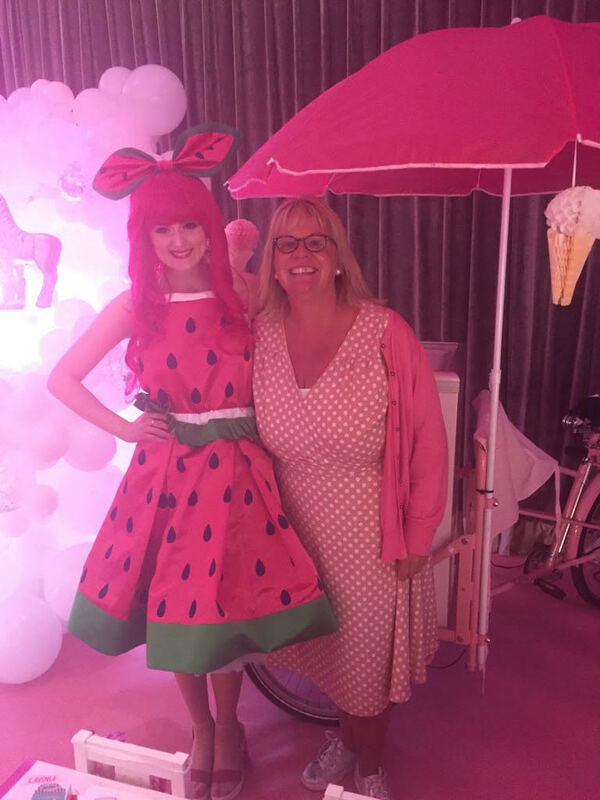 On 2nd August we took Patsy along to the beautiful wedding of Mr & Mrs Fryers Wedding at Queen’s Hotel Southsea – a truly stunning venue with a radiant couple! 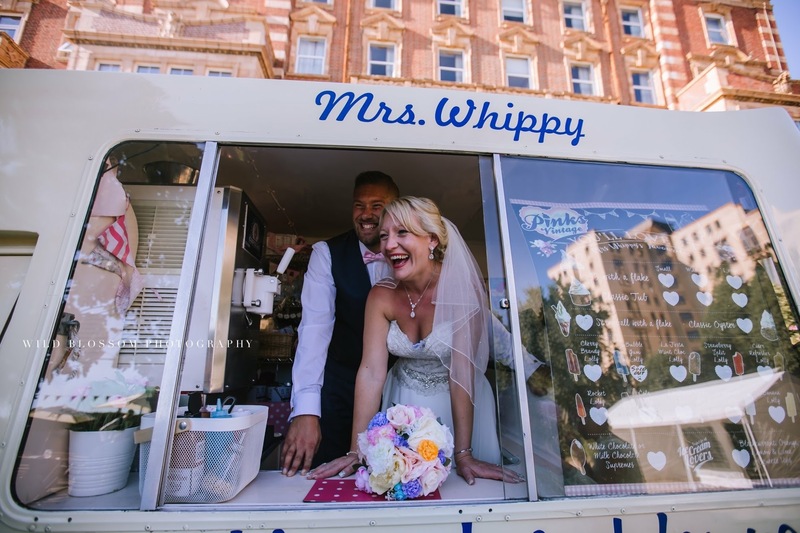 The photos were picture perfect and we’re pretty sure the guests were grateful of something to cool them down as the sun beat down on the couple’s special day! 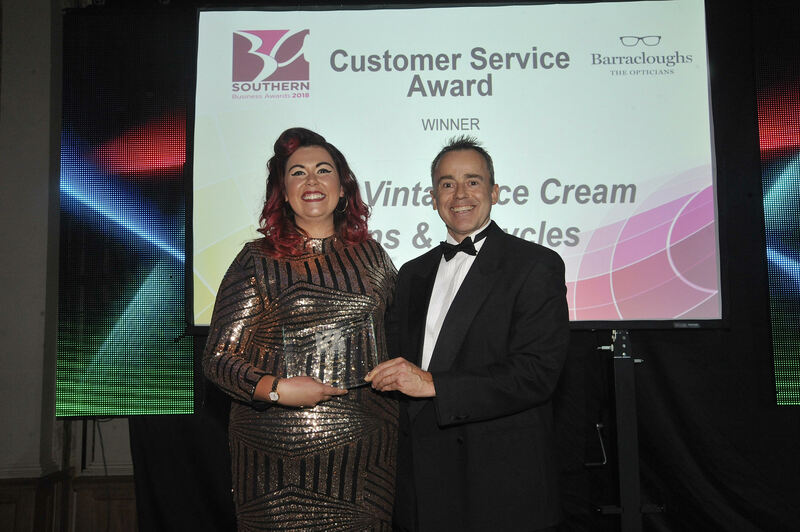 The flake on top of our ice cream this summer was winning the Customer Service Award at the Business South Awards! 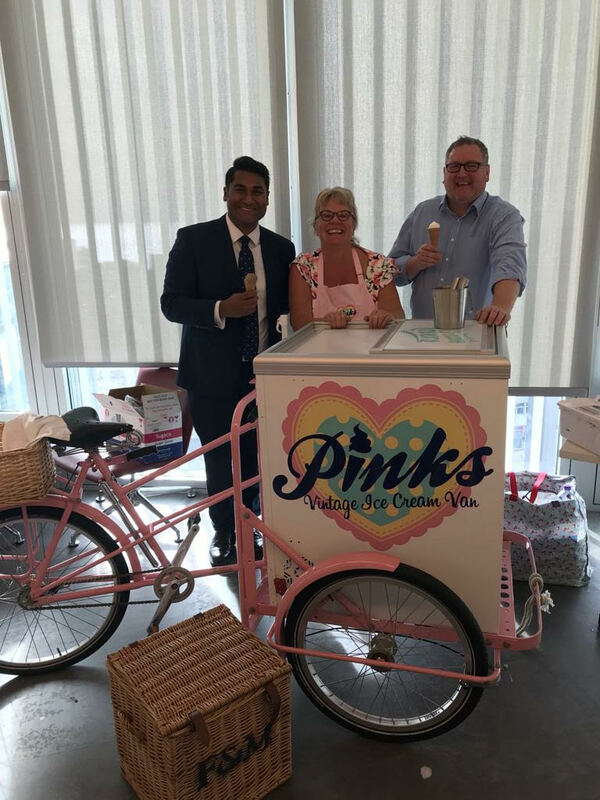 This is one of the best recognitions we could receive as it recognises the whole team who work tirelessly to make sure you all get the very best service and ice creams from Pinks, whatever the event! In October we took Rosey along to the American Express Bring your child to work day at their Brighton office. It was such fun meeting the staff and their children. If only you could have ice cream at work everyday! 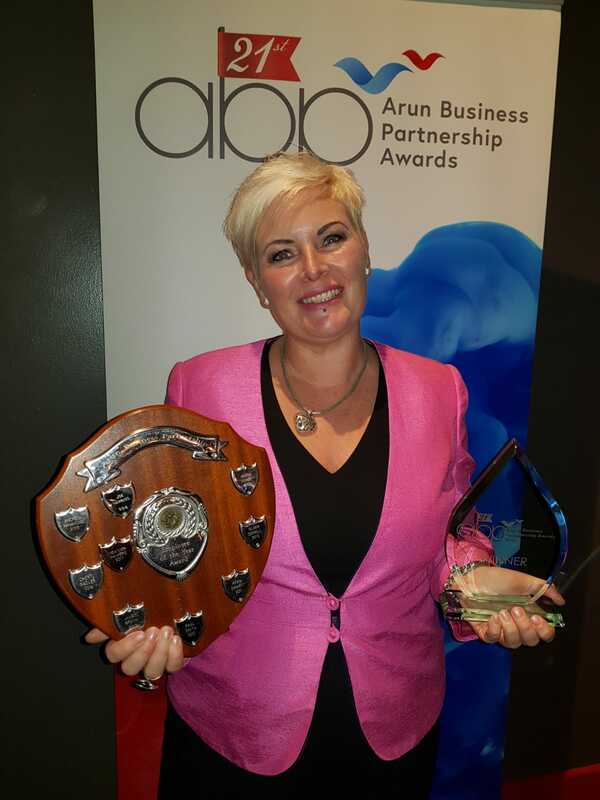 November saw another award but this time hihglighting the outstanding work of one of our brilliant team members, Cassy, who won Employee of the year at the Arun Business Partnership Awards. 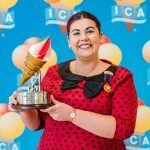 We’re so proud of Cassy and we know you all love her as much as we do here at Pinks! And finally, we find ourselves in the final throws of 2018 and heading speedily towards Christmas! We had the fantastic Joanna Wenczka design our Christmas card this year, names “When Mrs Claus took Rosey for a Spin!”. Isn’t it fun? 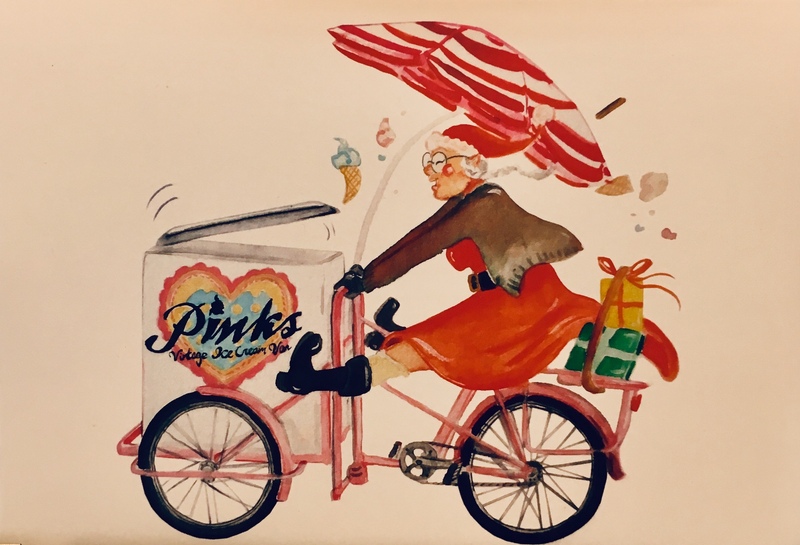 We think it truly captures the spirit of Pinks Vintage Ice Cream and celebrates a busy but enormously enjoyable year. 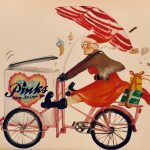 We want to express our deep gratitude and thanks to all our customers, suppliers, staff and friends of Pinks for your continued support this year. 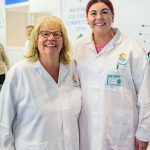 We didn’t think we could enjoy our jobs more but yet again, this year has proven to be the best yet! We’re excited to see what 2019 brings, and as always will keep you all updated on our adventures and news. A very Merry Christmas from all of us to you and yours!